Shannon Russell, Warren County's Naturalist, talks about programs for children and seniors through the Warren County Parks. 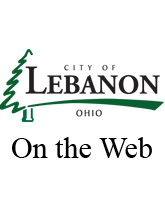 Shawn Coffey, the Director of the Lebanon Electric Department, talks about their summer projects and the need for new linemen. And Bryan Hoying visits with Ken Geier, the owner of Vacuum Concepts, on The Chamber.